There are certain priorities that shift as you grow older. At some point, you most likely become more responsible, you grow in your career, you take control of your finances, you pay off debt, and you settle down. For me, my finances now as a professional thirty-something are vastly different than they were as a student loan, debt-ridden twenty-something. And my priorities are different, too. I was lucky in the sense that in my twenties I could devote hours upon hours to pinching pennies, managing my budget, finding ways to save and working lots of hours to make more money and pay off my debt. Now, as a mom, I don’t have as much time to devote to money-saving as I once did. I am fortunate that I can shift my priorities to save something that is even more valuable to me and that is time. I now choose to spend slightly more money in order to save more time. Here are five occasions where it’s worth it to save time over money. Gas prices ebb and flow and for a time, gas was eating up a huge chunk of our budget. I would spend lots of time making sure I drove to the cheapest gas station in town. I can’t tell you how many times I would drive further to go to the $3.59 gas station vs the $3.79 gas station. But once I took a really hard look at it, I realized my car only takes about 13 gallons to fill up. Even at a twenty cent difference, I was only saving about $2.60. These days, it’s not worth it to hunt for the cheapest gas station. I now get gas whenever it’s most convenient and usually it only costs me a dollar difference either way. These days, I do all of my shopping online. It’s easy for me to find great deals online and I don’t have to brave the malls. Am I getting the best deal? I’m not sure. Perhaps I could get better deals in-store, but the ease and convenience of shopping in my pajamas and saving the time is a huge bonus that far outweighs the cost savings. I used to spend hours couponing to save money on our groceries. These days, I can’t devote hours to clipping coupons. I try and watch my grocery budget by choosing items that are in season and on sale rather than clipping coupons. I may not save as much money, but I am still saving a lot of time. Everyone has to choose what is most valuable to them, and your values can change over the course of your lifetime. At this point, is it more important to you to save time or money? 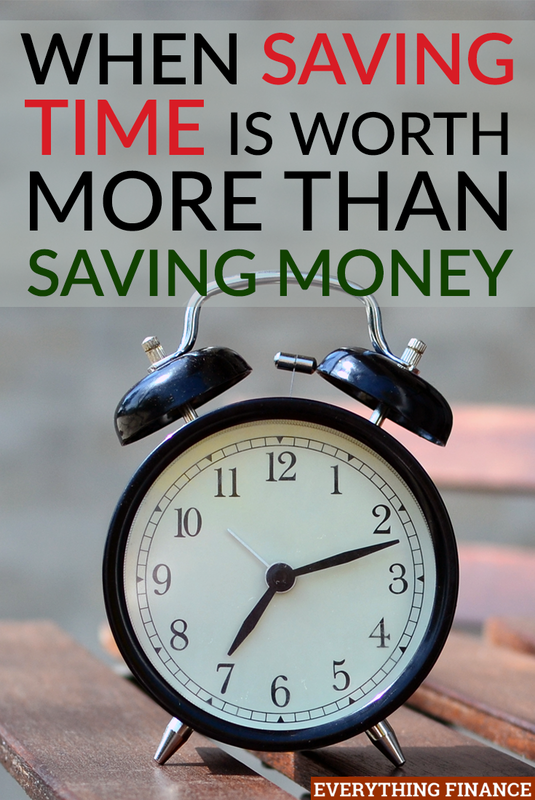 Have you made the transition from saving money to saving time?